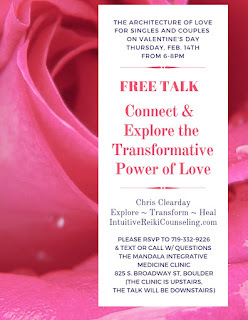 Hi all, I gave this free talk on Valentine's Day (Thursday, Feb. 14, 2019) in the Mandala Integrative Medicine Clinic in Boulder. The talk is for singles and couples. 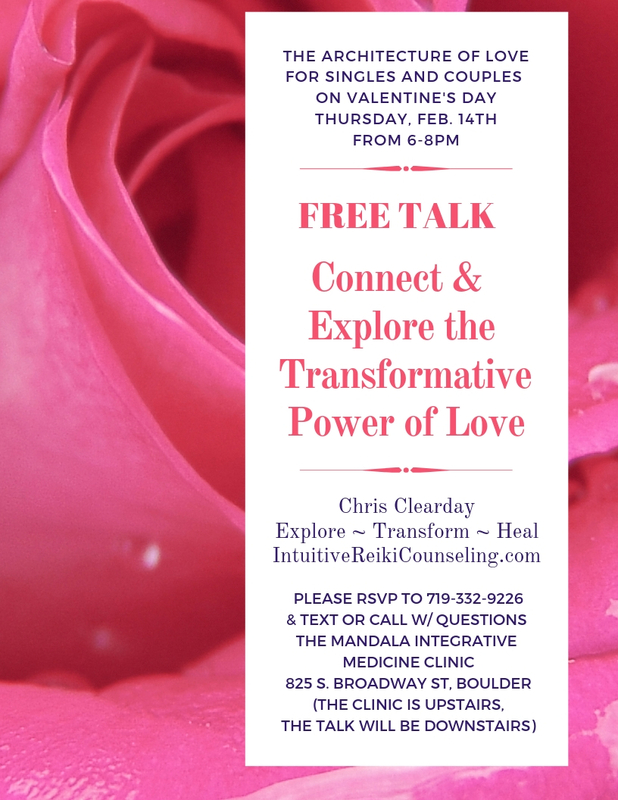 It is not about romantic love, but about our spiritual connection and it's power to transform our ability to love ourselves and one another. The material is inspiring, educational and designed to create change within each person. Please share it with people you think would be interested. Love, in it's many forms, is to be celebrated. PS, I will download the video of this talk after it is edited.